David and his team listened to my needs so they could fully understand what was most important to me. When my home was finished, I was in awe. 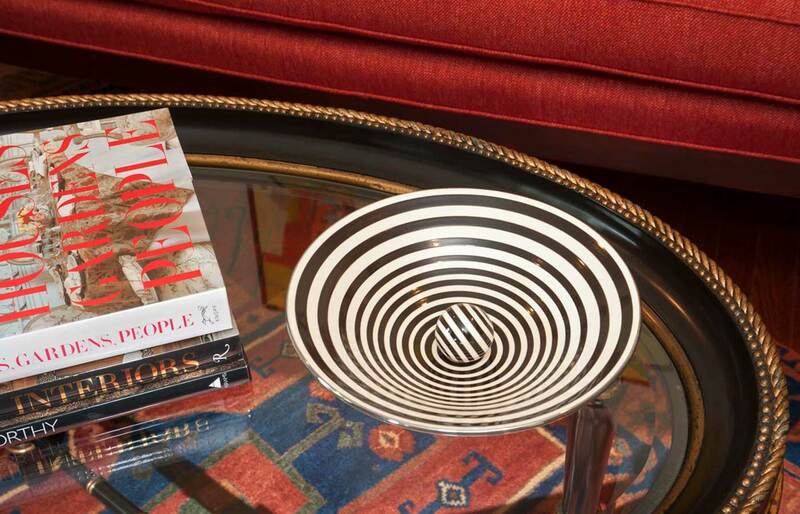 This dynamic client called on our design team to create a space that features an eclectic art collection. 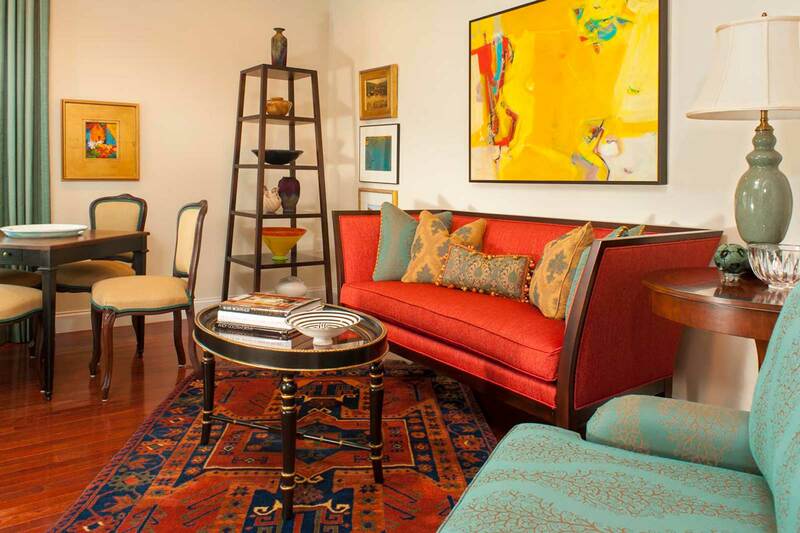 The intentional combination of pure white walls with special emphasis on colored textiles, rugs, and accents creates a gallery-like environment that is both distinctive and livable. 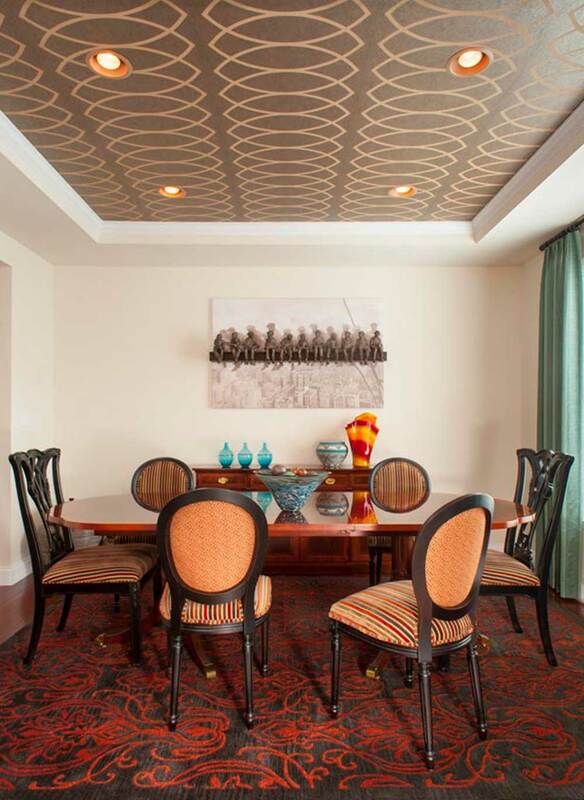 This design fuses modern energy and color with subtle antique elements, such as in the dining area, where the patterned ceiling and neutral wall color play serenely with the 18th century dining table and Chippendale chairs.